Visit The Trolley History Museum and step back in time to the beginnings of historical Trolley Square. Stroll through the interactive history of the Salt Lake Rail Company and experience the workshop where blacksmiths and carpenters prepared the trolley cars for daily public transportation. Trolley Square bags, t-shirts, and hats are available in the gift shop for purchase. The Kids Zone play area is perfect for your ones! In 1871 American president Ulysses S. Grant was in the White House. The great American Civil War had completed only 6 years earlier and the country was rebuilding. Within the territory of Utah, Salt Lake City was thriving and all major cities throughout the globe had blossoming public transportation systems. A group of businessmen decided that Salt Lake City should have their own public transportation system, too. In January of 1872 The Salt Lake City Railroad Company formed and applied for enfranchisement with Salt Lake City. By early summer, in June of 1872, the first tracks had been laid from the rail depot at 300 West and South Temple to 300 South and Main Street. In July, the first mule-pulled street cars were available to the public. The first line of track measured 1.5 miles in length. In the early days passengers were said to complain about the bumpy ride, the unexpected stops the mules would insist on making, the street cars coming off the tracks and even the inconvenience of having to stop and walk the rest of their destination due to spooked, jumpy or even run away mules. Despite the occasional inconvenience, the transportation option was quite successful! The mule-pulled street cars were used from 1872 - 1888. Summer 1872: Lumber mules from Missouri first pulled to trolley cars. In 1888 and a man named Alma H. Winn thought he had a great idea on how to get rich! Mr. Winn had his eye on an empty lot between 500 and 600 South – where Trolley Square is located today. The 10-acre lot was known back then as the 10th Ward Square and was set aside in 1849 along with other public squares to be a community gathering place. On February 15th in 1888 Mr. Winn (dubbed “the Land Shark” or “Land Jumper” by the newspaper) took the square over, plowed the ground, and put up a sign “This Land for Sale” even though he didn’t own the land! Unfortunately for Mr. Winn his dreams of “easy money” was all for not because the land belonged to Salt Lake City and Mayor Francis Armstrong was having none of the “Land Sharks” games! A massive posse was formed the next day and were deployed to the 10th Ward Square to send Mr. Winn and his accomplices packing. This Land Shark controversy was a wake-up call to Salt Lake City that something positive must be done with the public land. On March 7th, less than a month after Mr. Winn tried to steal the property, Salt Lake City sold the 10th Ward Square to the Deseret Agriculture and Manufacturing Society which ran the Utah Territorial fair. A contest was held to design the new Utah Exposition building. On May 30th it was announced that the entry by someone calling himself “Monday” had won. After a few days of suspense, Richard Kletting, one of Utah’s greatest architects revealed himself as “Monday”. Though this was early in Kletting’s career, he would go on to design many of Utah’s architectural icons such as the original Saltair Resort Pavilion, The Enos Wall Mansion and the Utah State Capitol Building. A number of his buildings survived and are listed on the U.S. National Registry of Historic Places. Construction moved forward on the Utah Exposition building and by October 3rd, 1888 - less than 8 months after Mr. Winn tried to steal the land – the Utah Exposition building opened for the Utah Territorial Fair. To get a good idea of how tall the towers were for the Utah Exposition building, all you have to do is take a look at the Trolley Square Water Tower as they were just about the same height! The south tower of the building sat on the corner between Desert Edge Brewery and Pottery Barn. The grand entry doors stood smack dab in the middle of Pottery Barn! In January 1896 Utah joined the Union and the first state fair was held at the Exposition Building. Early University of Utah football team 1894. Photo Credit: Special Collections, J. Willard Marriott Library. One of the reasons crowds came to the Utah Exposition Building was to watch football games! On Thanksgiving Day in 1894 the University of Utah football team met here for a grudge match against their archrival the invincible Salt Lake High School. Earlier that year the High School had challenged the U to a game during the fair and trounced them. This time the University of Utah football team was ready. A Salt Lake Tribune artist captured the action on the square. The first half ended with Salt Lake High School ahead, 6 to 0. In the second half the University battled down the field to the five-yard line. As the Salt Lake Tribune reported, “There they summoned the last of their strength and stood up hard and strong. The men and lads piled on each other and twisted like angled worms in an old can. By a tremendous effort the university squeezed the white-haired hide out from the mass like oil paint from an artist flask for the touchdown. But missing the kick – 6 to 4, the University of Utah scored 2 more times and made 1 goal, winning the game 14 to 6." Ultimately despite the building’s grandeur the fair had to move. There just wasn’t enough room to match the new state’s growing population in agriculture and industry. In 1902 the land and buildings were sold back to Salt Lake City and the fair moved to its current location. Mining tycoon David Keith bought the property for $45,000 with the aim of subdividing the property and building townhomes. By 1904 Richard Kletting’s grand design was torn down and the bricks used in other buildings around Salt Lake. One of the first main uses of electricity was to run streetcars. The Salt Lake City Street Railway Company in 1872 had started the city's first streetcars pulled by horses and mules. In 1889, Walter P. Read, general manager of the Salt Lake City Street Railway Co., had the idea to turn the street cars into electrified wonders for down town transportation. Electricity replaced the mule-pulled trolleys, allowing some families to live further from downtown. Ogden, Provo, and Logan, Utah also had electric streetcars. The first trial run was made on August 8, 1889 with luxurious new street cars to replace the often unreliable mule-pulled street cars. On August 16, 1889 the electric street cars made their way onto the rail lines for public use in front of Old City Hall. The cars were such an instant success that on their first day launching, a crowd of 500 gathered. A large fist fight within the crowds began between would-be passengers to be the first to ride the trolley cars. Within just a few years the fleet of street cars would grow to 63 and more than 42 miles of rail track were laid throughout Salt Lake City. Although people marveled at the changes from the electrical revolution, for a generation rival power companies wasted resources fighting each other. For example, different firms erected their own power lines, resulting in a maze of electric, telephone, and trolley lines in Salt Lake City. Plants remained small and inefficient, and rural consumers seldom received power. Dr. John McCormick in his history of the Utah Power & Light Co. called it a "nightmare." The most bitter of rivals among the companies were the Salt Lake City Street Railway Company and Salt Lake Rapid Transit. Street cars continued unregulated until 1901 when the Utah Power Company purchased both companies and consolidated them into the Consolidated Railway and Power Company. Rival street car companies would lay lines across the Salt Lake Valley without regulation, some even pulling up lines while active cars from other companies were using them. Edward Henry "Ned" Harriman (February 20, 1848 – September 9, 1909) was an American railroad executive for the Union Pacific Railroad.. The consolidated railway - Utah Light & Railway Co. was purchased by successful rail road tycoon, Edward H. Harriman in 1906. 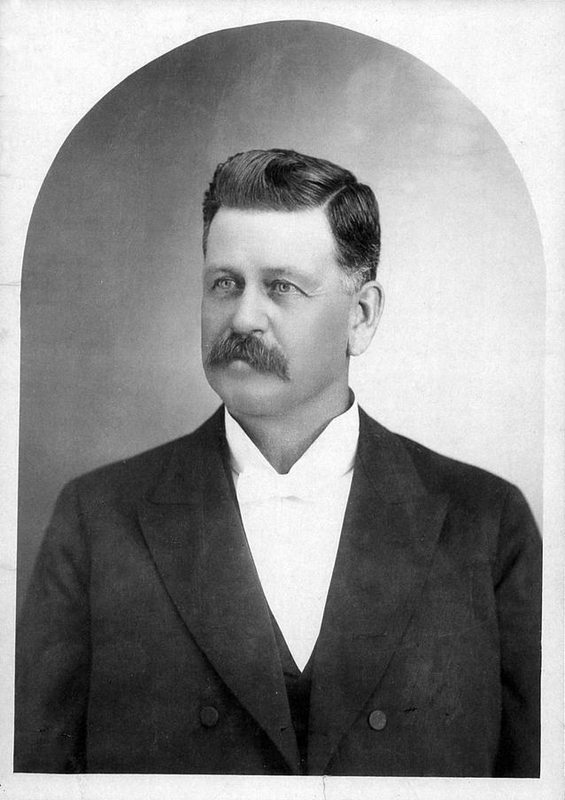 Harriman was the most influential man in the business of American Railroads as he assumed the office of president of the Union Pacific Railroad in 1903. He was infamous for relentlessly pursuing Butch Cassidy and the Sundance Kid. Harriman had grand plans for Salt Lake City as the center of a multi-million dollar operation. As soon as he took control of the street car system he began updating the street cars, modernized the maintenance shops, and power lines. E. H. Harriman commissioned a state-of-the-art facility to house the trolley cars. He chose a 10-acre plot of land on the east side of Salt Lake City which was used as the Territorial Fairgrounds until it was out grown and abandoned in 1902. The land was perfect for Harriman's plans. The new state-of-the-art trolley fleet building held 144 double-truck street cars, was divided into 4 massive bays with 4 tracks each, and 208 skylights provided lighting for the building. As fire was always a risk, Harriman included the iconic 50,000 gallon water tower which is a beloved landmark on display at Trolley Square today. In an effort to keep Trolley Square as independent and self sufficient as possible he even had blacksmiths and carpenters on site building parts by hand. The trolley car system ran from Salt Lake City to Holladay, Sugar House, Bountiful and Centerville, totaling 146 miles of track, and making it the premier transportation system in the state. "It was the top-of-the-line, best-in-the-country, state-of-the-art, world-class trolley system. Harriman wanted it to be a shining example of progress" - Michael DeGroote. And through the 1920s, it was. By the 1930s, however, Utah Light & Traction Company had peaked and began replacing its trolley lines with bus routes. In 1946, buses had replaced the last trolleys and Utah Traction became Utah Power and Light. The trolley barns deteriorated for decades until being saved from demolition in 1972. A local family purchased the property, adapting it for retail use. Wally Wright was the architect for the project—still well known today for his work on the historic property. Wright’s vision for Trolley Square was inspired by Ghirardelli Square—the San Francisco chocolate factory refinished as a shopping center. It was Wright’s idea to remodel and restore the trolley barns into Utah’s first festival marketplace. Wright not only preserved the barns, but he incorporated parts of historical buildings, including facades of Salt Lake's demolished Culmer and Dinwoody mansion and fragments of Tooele's Anaconda Mine. The vertical supports for the shopping center's banisters are curved like the cowcatchers of the early trolleys. "There are all kinds of historic treasures hidden here," says Michael DeGroote. Inside the shop "The Spectacle" is an ornate mansion staircase that had been saved and transplanted. Because of Wright's thoughtful remodel, Trolley Square was more than a shopping center, attracting tourists. Its collection of boutiques, pubs and entertainment centers prospered through the 1980s and 1990s. The first store to open at Trolley Square was the Trolley Gas Station. The Old Spaghetti Factory, The Pub, and Payne Anthony—still open today at Trolley Square—were some of the other original businesses. Additional early restaurants and retailers include: Chalk Garden, Wm. B. Woods, Haroon’s, The Ice Cream Store, Corn Dog Trolley, Trolley Games, The Granary Pizza Loft, Casa Del Sol, La Bathtique, and Trolley Theatres. Trolley Square quickly became one of Utah’s most popular attractions—offering unique shopping, dining, and entertainment in a charming, historic atmosphere. Trolley Square was registered as a historic site by the state of Utah in 1973, and it was added to the National Register of Historic Places in 1996. In 2008 the Great Recession delivered a blow to Trolley Square. Despite an on-going $60 million renovation and the arrival of Whole Foods, Trolley Square's occupancy, which peaked a few years earlier at 96%, dropped by half. Bankruptcy soon followed. Since Semnani took ownership, Trolley Square has already begun various renovations to maximize the center’s potential—updating its original structure, receiving new landscaping, and revitalizing the historic water tower with new LED lighting. Additionally, a new Visitors’ Center is currently under construction—a space for visitors to learn about the charming history of both Trolley Square and Salt Lake City. New businesses continue to come in under Semnani’s leadership—including Cosset Bath and Body, Orangetheory Fitness, CorePower Yoga, and The Falls—a 15,000-square-foot events center. An icon to Salt Lake City, Trolley Square has been both a cultural and retail anchor for decades. Just as legendary Wally Wright worked to transform the Trolley barns into a community gathering center, Khosrow Semnani has a vision to restore Trolley Square to the community-focused retail marketplace. State Register; "Utah Historic Site"
Site of LDS Tenth Ward Square until 1888 when it was purchased and used as a territorial fairgrounds through 1901. Car barn and repair shops built 1908-1910 under the direction of E. H. Harriman for Utah Light and Railway Company. Barns housed Salt Lake City buses until 1970. Renovation 1972. NATIONAL REGISTER; "Central City Historic District"
Salt Lake City was one of the first cities in the U.S. to introduce a trolley car syste, electrifying its first line in 1889. Railroad magnate E. H. Harriman purchased a controlling interest in Utah Light Railway Company with plans to build a state-of-the-art trolley system as a model for the world. He invested $3.5 million in this site, constructing the unusual mission-style car barn complex during 1908-1910. The largest building was used as the berth for the trolleys. The middle building served as the machine or "rip" shop and blacksmith shop. The north building was the paint and carpenter shop. The smallest east building was the sand house. The water tower was designed to hold 50,000 gallons of water in case of fire. The railway venture operated out of this location until August 19, 1945, after which Salt Lake City buses were housed here until 1970. Trolley Square was one of the first large-scale adaptive reuse projects in the country when the historic buildings were converted into a festival marketplace. Relics from around the west were rescued and installed as accent pieces. Trolley Square opened on June of 1972. The National Register of Historic Places. Division of State History, placed a marker in 1997 in recognition of Trolley Square's 25th Anniversary. Plaque A: (Left) Trolley Square Historic Marker YESTERDAY.. Tower was built in 1908 as an elevated water storage tank for Utah Power & Railway Company. It once held 50,000 gallons of reserve water to supply the sprinkler system inside carbarns, and stands 97 ft. high. Plaque B: (Right) Trolley Square Historic Marker TODAY.. In 1972, the water tower was converted into a Trolley Square Landmark by Trolley Square Associates. More than 6,000 minature lights were added along with an observation deck and spiral staircase. Decorative wrought iron embellishments completed the transformation. TRIBUTE The trolley car model you see took three years to complete, and was the work of Emerson Carter, of Salt Lake City, a retired mechanic, who in his 20s was employed for 5 years by Utah Light and Traction Company. All models, with exception of the glass roofs, are authentic to the 1930's, including many of the surrounding homes, churches, and businesses. Nick, as his friends knew him, enjoyed making others happy and was meticulous in all he did. Notice the hand-painted brick. As a tribute to Mr. Carter's dream, it is now proudly displayed by Melvin Simon and Associates for all to enjoy, and as a reminder of the Trolley Square Carbarns as they appeared in the days of the electric trollies. Dedicated to the memory of Emerson H. Carter, November 29, 1986. In Salt Lake City, electric streetcars replaced horse-drawn cars beginning in 1889, but once the number of electric streetcars grew, a site for a carbarn was selected in 1902. That site became Trolley Square. With the capacity for 144 double-truck cars, the main building was divided into four bays, each 57 feet wide with four tracks in each. Over 200 skylights illuminated the main building, the now-iconic water tower provided fire insurance. Decades after the last electric streetcar carried passengers, the old carbarns were reopened in 1972 as a shopping and entertainment complex. A movie theater, restaurants, and retail outlets brought new visitors to Trolley Square, which had been remodeled according to historic preservation techniques that earned its designation as a state historic site in 1973. By the twenty first century, Trolley Square had been remodeled several times and houses a gym and a major grocery chain. Acquisition Information: Donated by Julia Lee Stansfield Hogan and Wallace A. Wright, Jr., 2005. Restrictions on Use: The Trolley Square Collection, 1971-1991, is the physical property of the Utah State Historical Society, Salt Lake City, Utah. Literary rights, including copyright, may belong to the authors or their heirs and assigns. Please contact the Historical Society for information regarding specific use of this collection.